About Magnuson Ford in Abbotsford British Columbia. When you drop in to our dealership, you’ll find that our friendly sales team is ready to help. We want to make your auto shopping experience stress-free, fun and easy. We’d be happy to answer any questions you may have about our inventory, go through available financing options, and set you up for a test drive. Feel free to browse our new Ford inventory online, check out our Ford Showroom, and use our other online resources to learn more about our vehicles. Let our team is ready to help you get in your ideal car, truck, or SUV today! 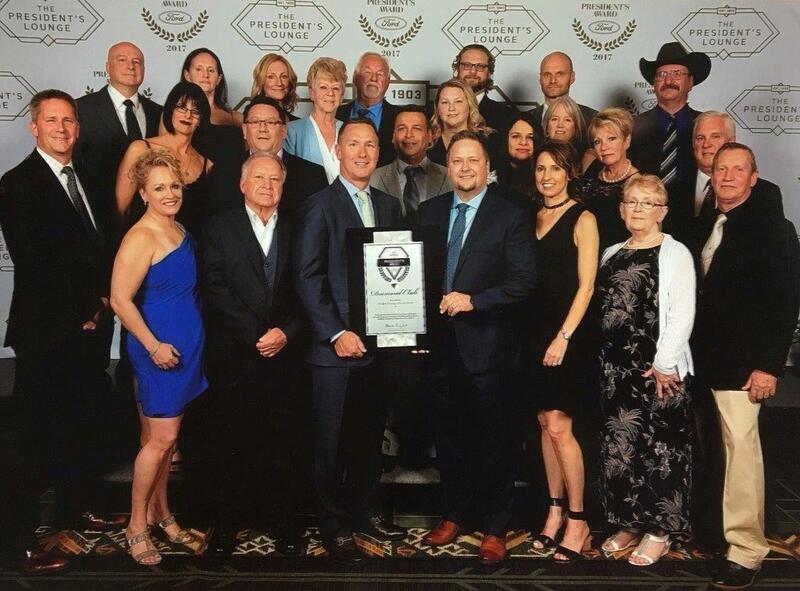 Magnuson Ford is very proud to be honoured by Ford Motor Company for winning the 2017 President’s Award. Magnuson Ford would like to take this opportunity to thank its customers for their continued support. We are proud to stand out against the competition.